The President of India and Supreme Commander of the Armed Forces, Ram Nath Kovind awarded the President’s Standard to 51 Squadron and President’s Colours to 230 Signal Unit of the Indian Air Force in a ceremonial parade at Air Force Station Halwara on March 22, 2018, in acknowledgement of their meritorious service. The President’s Standard was received by Group Captain Satish S. Pawar, Commanding Officer of 51 Squadron, and the President’s Colours were received by Group Captain SK Tripathi, Station Commander of 230 Signal Unit. On this occasion, the President also released the first day cover of both the units. The President was presented the Rashtriya Salute at the commencement of an impressive parade. The parade was followed by a mesmerizing performance by the Air Force Air Warriors Drill Team. The Air Warrior Drill Team is the first of its kind amongst all military and Para Military Forces in India, with their unique synchronised drill movements with rifles carrying live bayonets. Thereafter, the fighter might of the Indian Air Force was displayed in a scintillating aerial display, with enthralling formation aerobatics by the Surya Kiran Aerobatic Team and a heart stopping low level aerobatics display by Sukhoi-30 fighter jet. 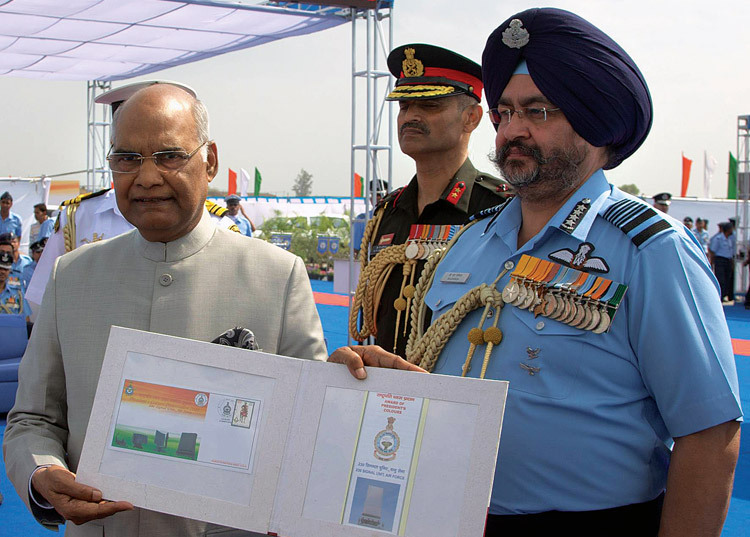 This is the second occasion when Shri Ram Nath Kovind has bestowed the President’s Standard at an Air Force Station in Punjab. Earlier he had presented the Standards at Air Force Station Adampur in November 2017. The event was attended by a resplendent gathering comprising of various civil and military dignitaries. Prominent among those present on the occasion included Punjab Governor .V.P. 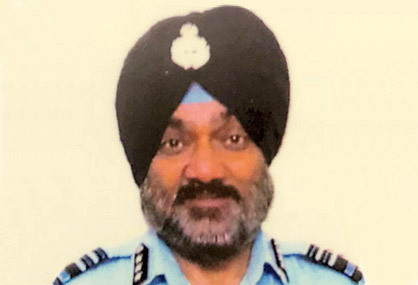 Singh Badnore, Minister in Waiting Tripat Rajinder Singh Bajwa, Chief of the Air Staff Air Chief Marshal Birender Singh Dhanoa PVSM, AVSM, YSM, VM, ADC and Air Marshal C. Harikumar PVSM, AVSM, VM, VSM, ADC Air Officer Commanding-in-Chief Western Air Command.